My husband is a pastor and our son is getting married. Our church is not large and the bride-to-be has a rather large family (aunts and uncles), but our family is not large. However, we are concerned about enough space for the wedding and also the cost of additional church members at a wedding reception. We do not want to hurt church members by not inviting them to wedding and then reception, but we are not able to pay for the expense of another wedding venue or additional food at reception. With almost any wedding, there is typically some compromise that has to happen. It can be challenging to balance all aspects of planning a wedding while trying to make as many people happy as possible. The most important thing to remember is to make your son and soon to be daughter in law happy on their big day. This means inviting those guests that are most important to them, such as family from both sides. Your first step should be to write a guest list once you know the maximum number of guests you can have for both the ceremony and wedding reception. Your "A" list should be all family and very close friends that your son and his fiancé must have at their wedding. From there, you can add additional guests up to the maximum amount. There will most likely be people that are unable to attend the wedding, and this will open up spaces to invite additional guests. This may not be an easy process, but to meet your budget and space constraints it is necessary. You may need to speak with the congregation as a whole prior to sending out the wedding invitations to let them know that while you would like to have everyone attend it might not be possible due to the reasons mentioned above. Another idea could be to invite as many guests as possible to the ceremony but only invite family and close friends to the wedding reception. This way the larger group feels included while allowing you to have the wedding reception that you desire for your son. Would it be tacky to host a reception a week before the wedding and invite our church family? You don't have to invite all those people, you just need to invite those who are family members and some close friends. I am sure those who are not invited will understand. Very nice post on how to invite to wedding and reception,you have posted very nice tips which are very useful. Nice post on wedding ideas,you have posted very nice post. 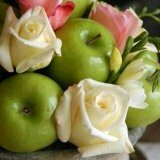 I have read the post,you have posted about wedding ideas which i found interesting to read. 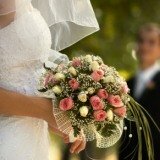 Here anyone can find some unique and positive information about "How to invite to wedding & reception" and share this to everyone. Now find best essays via our official educational networking website.